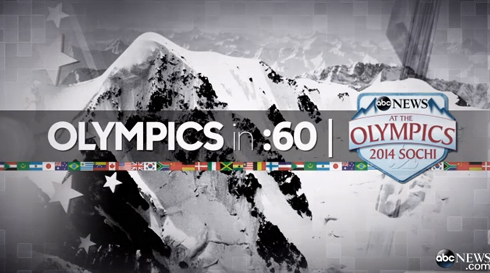 Despite not being the official network of the 2014 Olympics, ABC News has gone all out in its coverage, including with a special graphical look used across multiple programs. 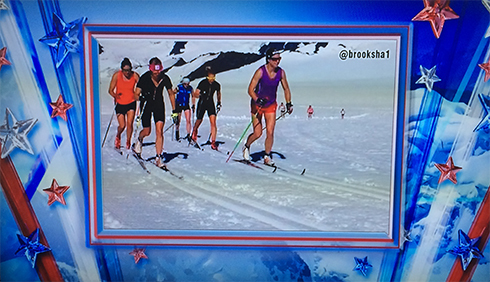 The network developed a shield-shaped logo with softer, rounder edges than the NBC shield shape that also includes two mountain peeks and somewhat subdued red and blue shades. 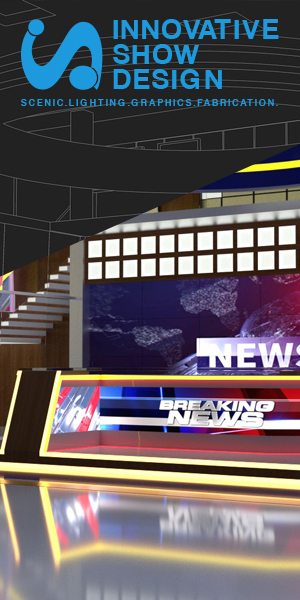 Special lower thirds take on a red, white and blue theme and full screen graphics include 3D, highly polished star-theme graphics. 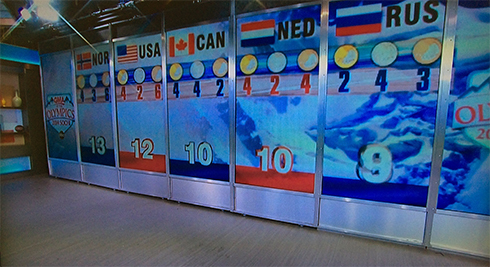 The show also uses its studio’s video wall to showcase the current medal count. 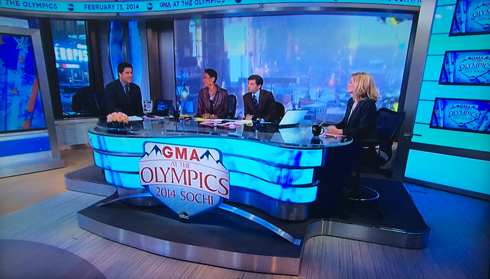 The network’s Olympics strategy appears to be working — at least for “GMA” — word came Wednesday that the show managed to top “Today” by 412,000 viewers. 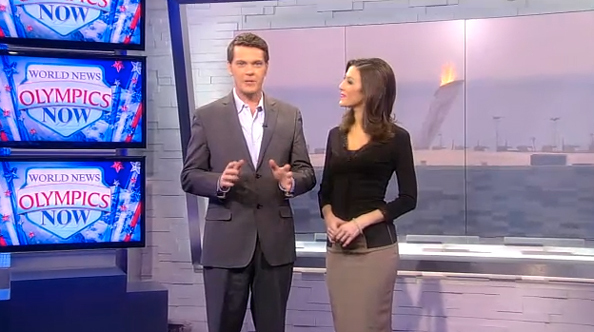 One final note — it’s interesting to note that the “GMA” set, which is also used for online exclusive content and show at the top of this post, featured a light stacked stone wall and metal framework surrounding a vertical flat screen array has some interesting visual similarities to NBC’s Sochi sets.